Kunzum cafe has a unique charm to it. This cafe targets travelers and avid readers. 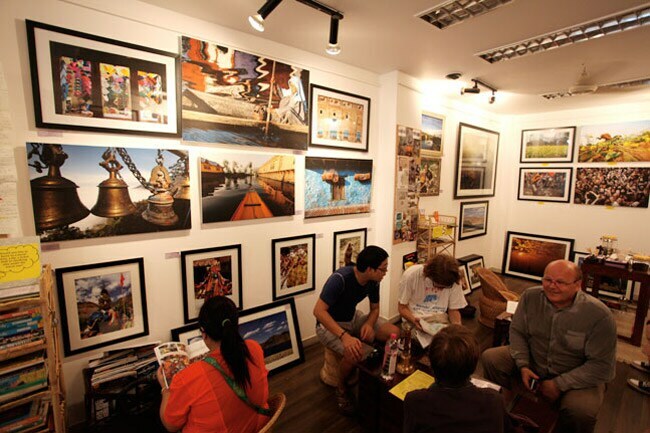 Visitors are encouraged to share stories about their excursions. It's a great common room for travelers to meet, exchange contact details, chat over cups of coffee, and attend interactive workshops by photographers and writers. It's run by a team of travel writers, and owned by Ajay Jain. You won't receive a bill at the end - the cafe lets you pay as you wish to.